1 Guest ‘powder room’with w.c. 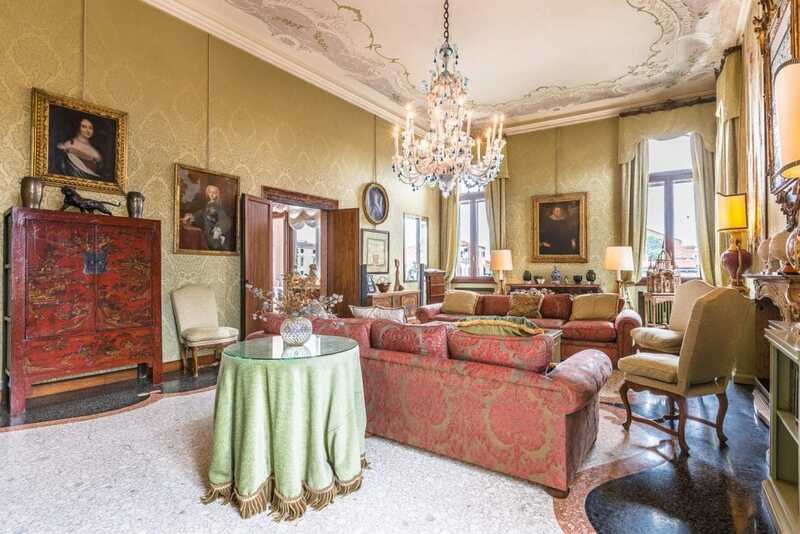 The spectacular “Secondo Piano Nobile” in one of the most impressive Grand Canal palazzi in the entire city, offering luxurious accommodation and service to match coupled with absolutely mesmerising Grand Canal views stretching from the “volta del canal” at Ca’ Foscari to the Accademia Bridge and beyond. 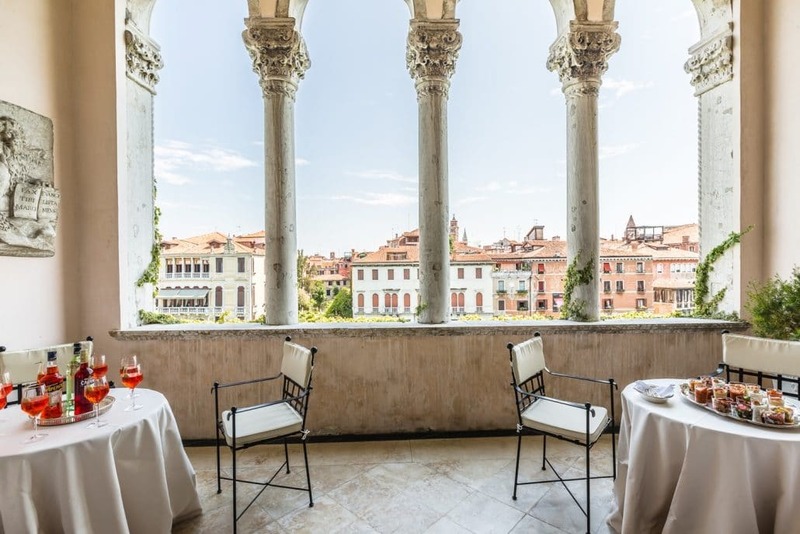 In a fabulous position in the heart of Dorsoduro, the apartment lies within the 15th Century Gothic Palazzo Loredan Dell’ Ambasciatore – notable palace where Mozart once played, historic address of the ambassadors of the Austrian Empire to the Venetian Republic, and home of Count Philip Joseph Orsini-Rosenberg and his wife Giustiniana Wynne, a close friend of Casanova and whose secret love affair with Venetian nobleman Andrea Memmo is the subject of ‘A Venetian Affair’ by author and friend Andrea di Robilant. 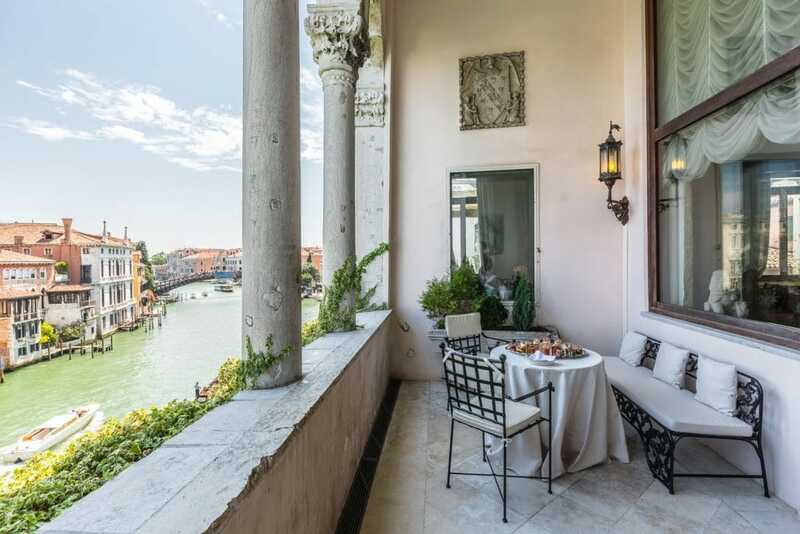 Undoubtedly opulent and highly exclusive, yet by the same token supremely comfortable, the apartment is on the second floor served by lift and offers its guests a rare glimpse of ‘old Venice’. 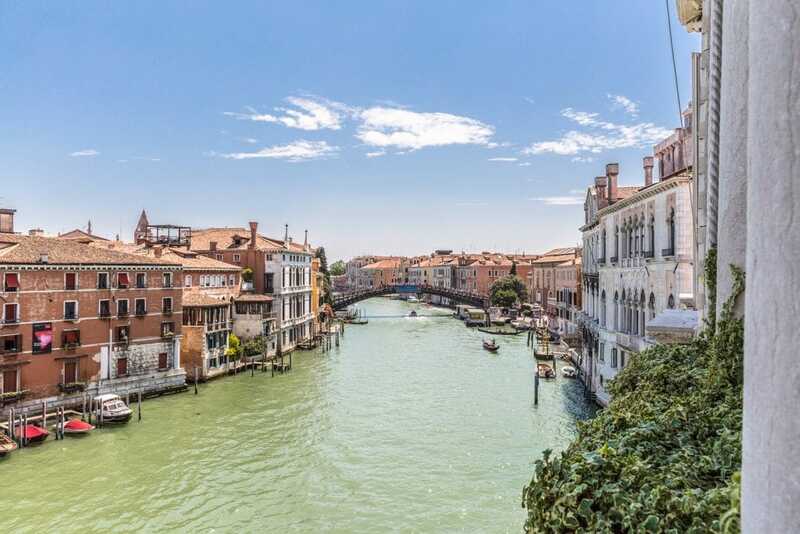 Sleeping up to twelve and reached by water taxi via the Palazzo’s private ‘porta d’acqua’ on the Grand Canal, the apartment has three sumptuous sitting rooms. 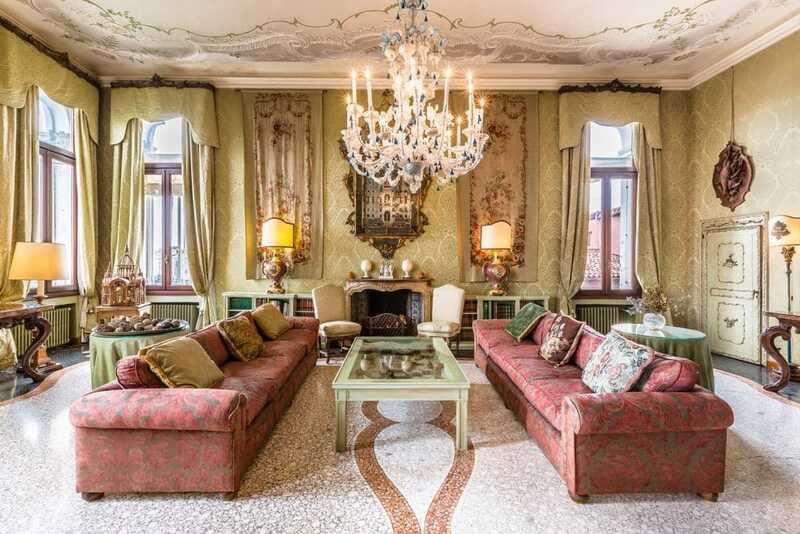 The first is a light and bright picture of elegance leading onto a stunning furnished terrace or ‘loggia’ with Venetian Gothic ‘Trifora’ arches overlooking the spectacle of the Grand Canal, while a further spacious sitting room is handsomely dressed in soft, sensuous textures and faded pinks and greens and boasts deep, voluptuous Fortuny fabric sofas, precious carpeting and tapestries and an enormous sparkling Rezzonico chandelier taking pride of place above the heirloom filled surroundings. 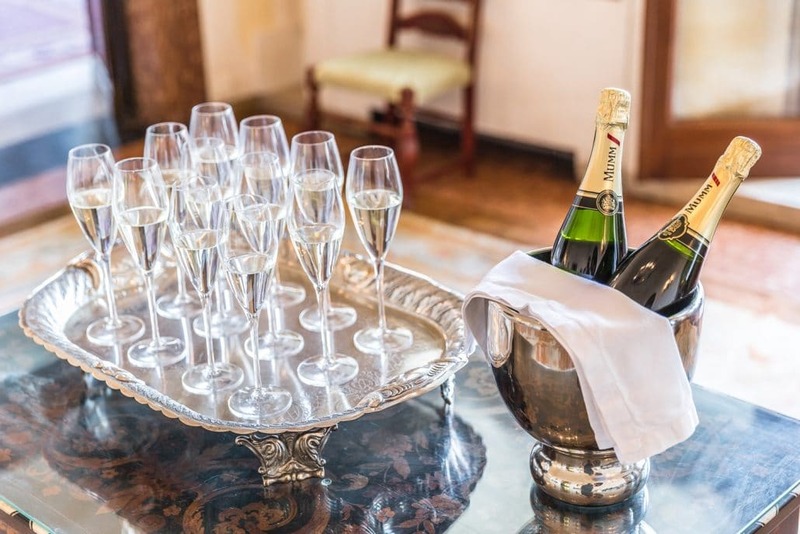 Portraits gaze benevolently upon guests while all of the modern accoutrements one would expect, including a Bang and Olufsen sound system and Wi-Fi internet connection, steer the historic surroundings gently into the 21st Century. 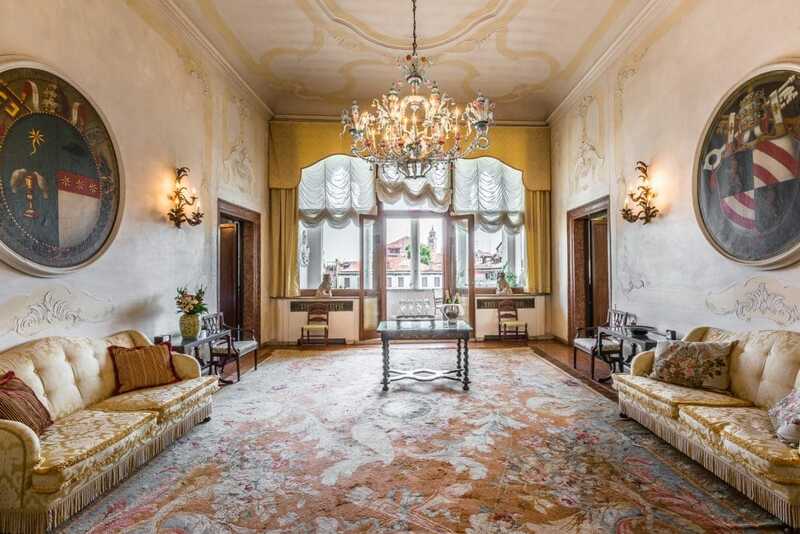 A spacious formal reception ‘salone’ has played host to a myriad of Venice events, its tall ceiling and polished terrazzo floor framing walls of painted murals, while a further enormous Rezzonico chandelier dazzles above elegant period furniture and the sonorous notes of a Steinway Grand. Historic Zuber hand blocked printed wall coverings in the formal dining room on the Grand Canal create a richly atmospheric backdrop to every meal served from the fitted kitchen/breakfast room which is fully equipped with everything one might require. 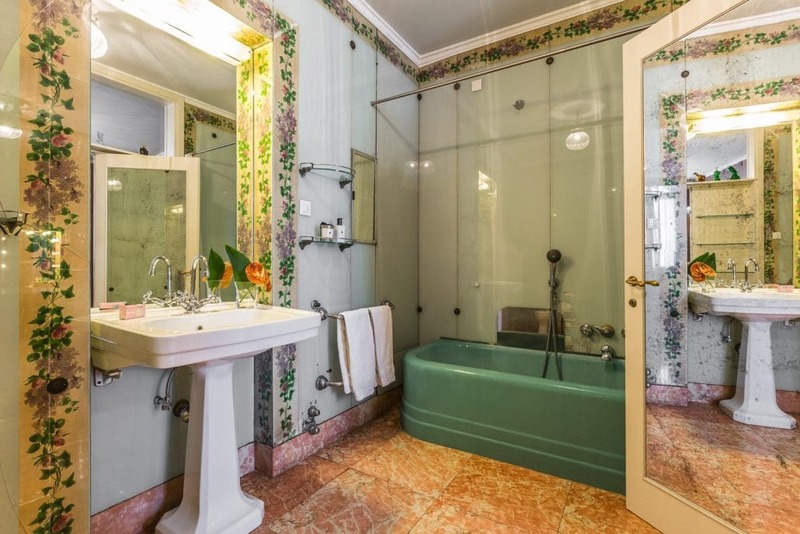 There are three beautiful en-suite double bedrooms – a splendid master bedroom overlooking the garden, a luxurious, all-embracing step back in time. Fine silks, plush velvets and tapestry abound while a gorgeous second bedroom oozes charisma and is playfully decorated in a faux library print. 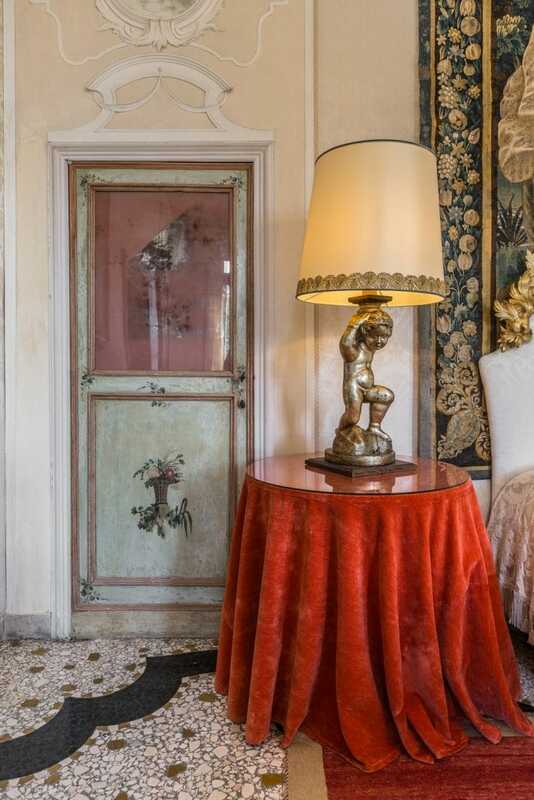 A third with antique canopied bed and gilded furnishings is peacefully positioned at the centre of the apartment. Four further bedrooms (two doubles and two singles), two bathrooms and a staff room/laundry room with bathroom (all more modest in style) are tucked away up on the mezzanine level (reached by stairs). 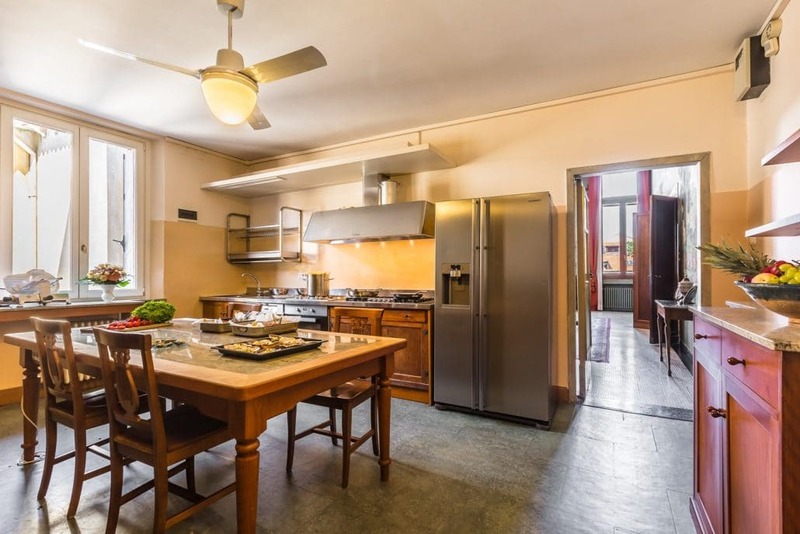 All bedrooms, with the exception of one single, offer air-conditioning. A further guest ‘powder room’ on the bottom floor of the apartment completes the accommodation. I know it is easy to go down the list and tick everything as ‘excellent’, but this really was the case – I cannot fault a single thing. 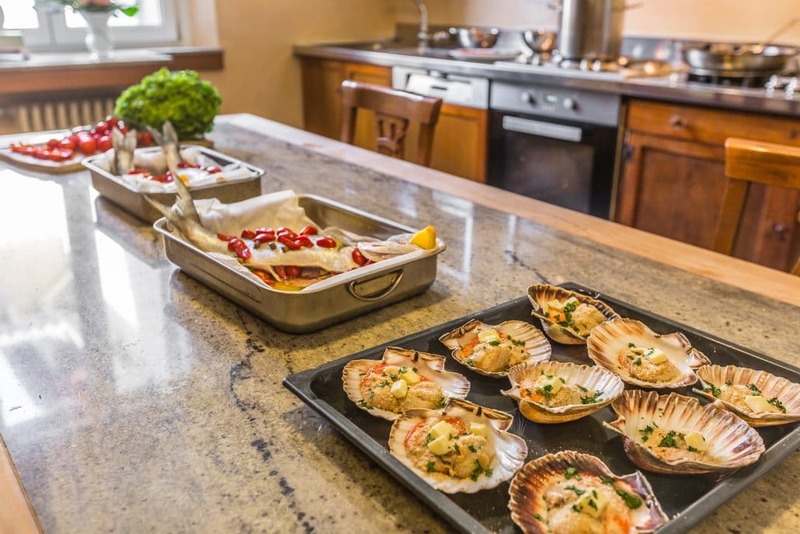 The whole experience far exceeded our expectations (and they were high!). 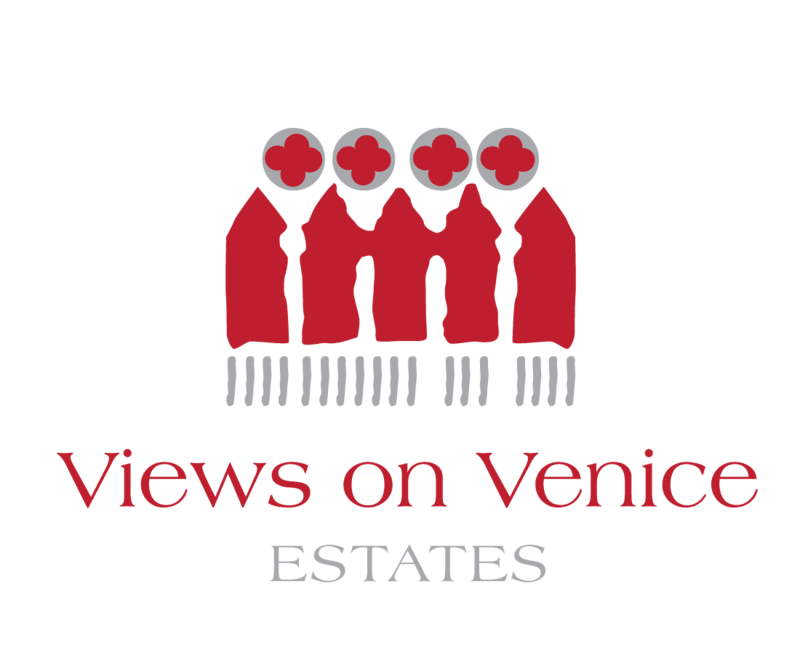 Before arrival, the help and assistance offered by the Views on Venice Team was second to none, and the flowers requested by my husband for the apartment were beautiful. To be met on arrival by Filippo as well as Lorenza was the first of many special moments. 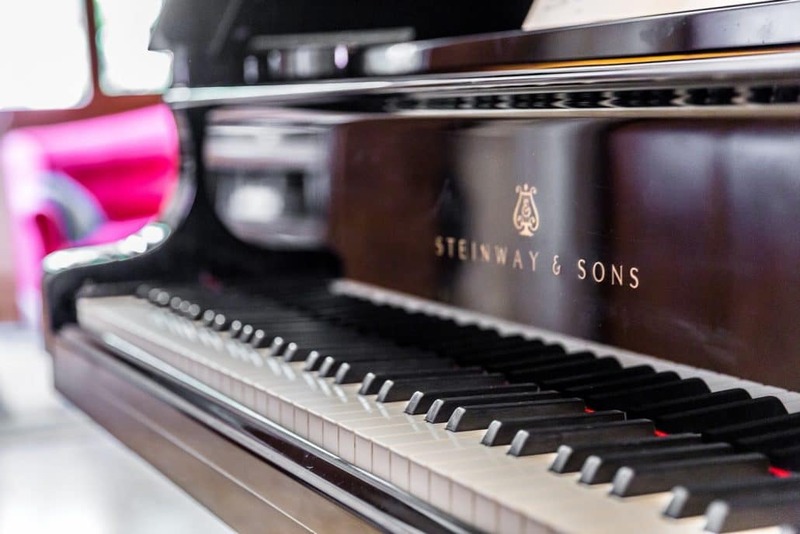 The Ca’ Cerchieri Piano Nobile was a dream come true for me; the furnishings were comfortable as well as being exquisite – and of course the location and views were absolutely stunning. 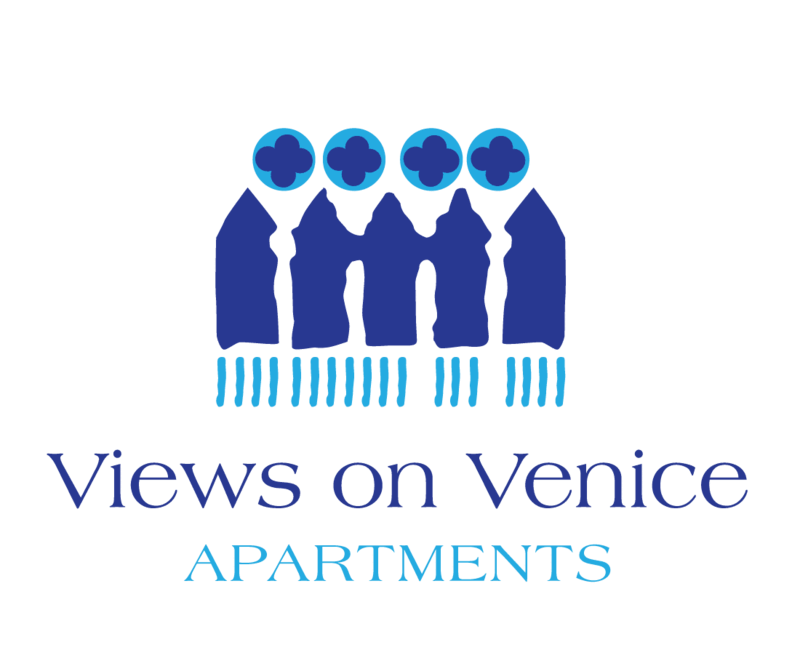 We have been to Venice numerous times in the past and stayed in different hotels and private rental apartments, but will definitely use Views on Venice for our future visits. 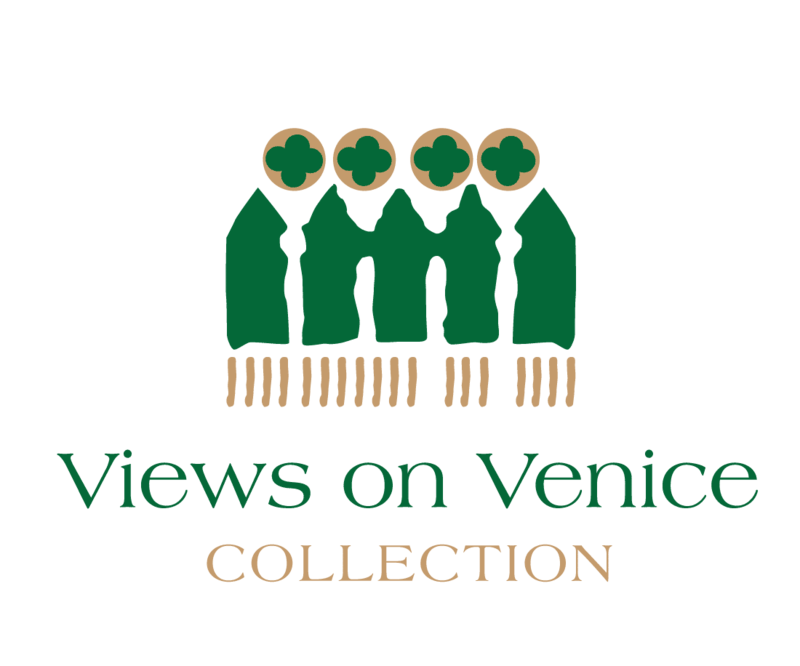 Thank you once again to all at Views on Venice for making this trip unforgettable.